As the turbulent renewable energy sector begins to settle, Olivia Midgley asks how farmers can benefit. The agri-renewables industry has become more ‘simple and stable’ after riding out a tumultuous two years of falling subsidies and Government uncertainty. Market experts say the calmer outlook presents an ideal time for farmers to invest in new projects, with many being forced to reassess their business costs in light of Brexit. Ian Burrow, head of agriculture and renewable energy at NatWest, says: “With more pressure on the farming industry, there is constant drive to do more with less, which requires greater efficiencies. “Farming businesses which consume large amounts of energy should be considering whether they could buy energy cheaper, use it better or generate it themselves. The industry is also focusing more on energy usage in its entirety, and not just from a generation perspective. “Large farms using a significant amount of energy could expect to save an average of £42,000 every year as a result of conducting an energy audit,” adds Mr Burrows. Matt Brailsford, managing director of Custom Solar, agrees the industry has evolved past subsidies, adding projects could now expect a higher return on investment because the cost of delivering them has fallen dramatically. “Within the year I believe solar energy will be subsidy free and capital investment costs will remain low,” says Mr Brailsford. He adds renewable energy is currently providing 15 to 20 per cent of the country’s daily energy needs during summer time. “Many of the renewable technologies are coming out of their infancy, so the fact that we have already changed the face of the energy mix in such a tiny space of time is quite remarkable,” says Mr Brailsford. He sees the future of renewable energy being in security of supply, and making the most of the energy production capabilities. “For businesses which consume electricity 24 hours a day, the cost of energy between 4pm and 7pm is drastically higher than at any other time,” he adds. “Farmers could look to battery storage to solve that problem, as the perfect partner for any kind of renewables scheme. It allows power which cannot be consumed immediately to be used later. After investing in renewable energy and getting projects off the ground it is vital to maintain the installation in order to mazimise the investment’s efficiency and longevity. 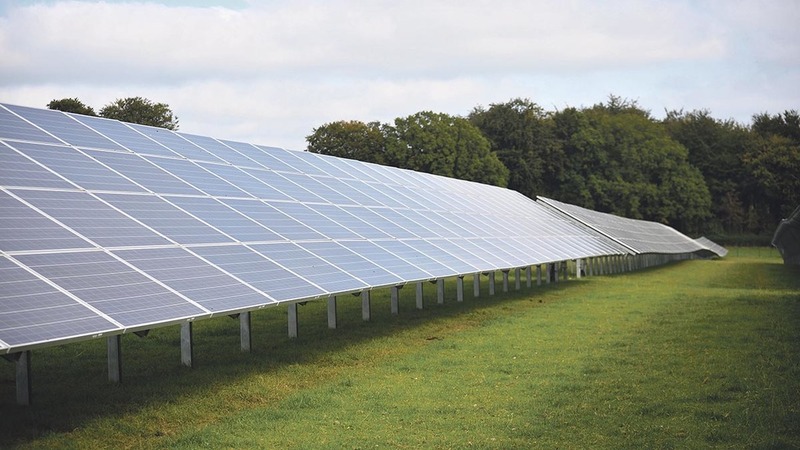 Chris Smith, site surveyor at Noble Green Energy, says close monitoring of solar PV systems is key, even though they are designed to be largely self-sufficient. “Quite often you will be able to visually tell if something is wrong with an array,” he adds. “Common issues include ducting that has not been installed correctly, which could lead to water getting into the electrics. Sometimes panels or inverters have not been mounted properly, or perhaps panels have not been correctly orientated. Mr Smith adds some farmers who had systems installed in the industry’s infancy are now encountering problems. “They are going back to the original installation company, only to find they are no longer there,” he says. Karl Rudman from Petro-Canada says quality lubricant for anaerobic digestion is critical to the running of the plant. “Using a high-quality lubricant ensures that as well as the equipment lasting longer, there will also be less downtime, increasing asset availability and leading to increased revenue. It is worth the return on investment,” he says.